Rick is Knight of the month for January. 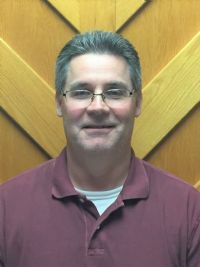 Rick has been member of the Council since 2011. You’ll see him helping at Fish Frys taking food orders and serving food. on the floor. Rick also is active in the Parish as an Usher. Thanks Rick for being a productive part of our Council. Tim is December Knight of the Month. Tim has been a member of our Council for over 14 years. You’ll see him helping at Fish Frys. Tim is a good worker who loves serving up hearty helpings behind the scenes in the Kitchen at our Fish Frys. Thanks Tim, we appreciate all you do. Ron Williams is October Knight of the Month. Ron is a relatively new member of the Council joining in 2015. You’ll see him helping at Fish Frys and Pancake Breakfasts. Ron is a conscientious worker and represents our Council well. Thanks Ron, for all you do. 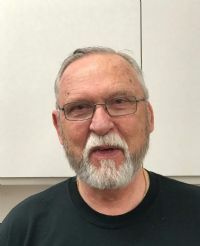 Stan Wertelka is September Knight of the Month. Stan has been a Brother Knight since 2003 and is very active in the St. Jude CRHP (Welcome) program. Stan always finds time to come out and volunteer at Fish Frys and ID Drive collections over the years. The Council appreciates Stan carrying the message of our mission in his volunteer efforts. Jerry Przybyla is the August Knight of the Month. Jerry’s been a Brother Knight since 1998 and 4th Degree Sir Knight since 1999. Jerry is one of those guys who just shows up and works very hard whether it’s setting up or serving at Fish Frys, cooking burgers for St. Jude or working Pancake Breakfasts. The Council appreciates his quiet, diligent help and support. Bob Parise is the July Knight of the Month. Bob is an active member of our Council and was especially active with our Lenten Fish Fry’s this season. We couldn’t sell all those pizzas without his help. His willingness to pitch in helps keep our Council growing and we thank him for his efforts. Ed Dorey is the June Knight of the Month. Ed is a relatively new Knight and active member of our Council and the Parish in general. Ed can be seen usually at 9:00am Mass as an Usher and he usually attends morning Mass. As a newer Council member, Ed has jumped in to help at Fish Frys at the Front Desk collecting money and wherever he’s needed. This willingness is a major contributor to the success of our Council and we thank him for his efforts. Mike Ortman is the May Knight of the Month. Mike is a new and active member of our Council and he is also active in the CRHP program at St. Jude. As a new member, Mike jumped in and helped make Lenten Fish Fry’s a success this past season. From serving tables to cleaning up, Mike was more than willing to take on any task. This willingness is a major contributor to the success of our Council and we thank him for his continued efforts. John Pagan is the April Knight of the Month. John is a new and active member of our Council. As a new member, John jumped in and helped make Lenten Fish Fry’s a success this past season. From prep on Thursdays, serving tables or making pizzas, John was more than willing to take on any task. This willingness is a major contributor to the success of our Council and we thank him for his efforts. Jim Wellman is the March Knight of the Month. 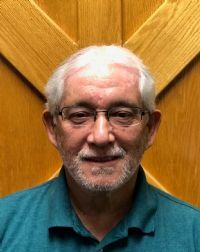 Jim is a new and active member of our Council and the Parish organization in general. As a new member, Jim has not had much experience in our Council activities, especially Lenten Fish Fry’s. This season was our best by a significant margin and it would not have been possible without his help. From prep on Thursdays, and any work on Friday, Jim was more than willing to take on any task. This willingness is a major contributor to the success of our Council and we thank him for his efforts. Pat Murphy is the February Knight of the Month. Pat, “The Chicken Man” Murphy is most at home in front of the fryer in our kitchen. No matter the event, we can always count on Pat making sure the fryers are cleaned, prepped and ready for however many people plan on eating. Pat comes from a long line of culinary greatness and it shows in his dedication to his task. Also, have a baseball question to answer – see Pat! 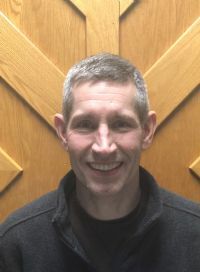 Jim Sniegowski is the January Knight of the Month. 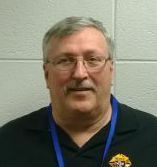 Jim is an active 4th Degree member of our Council and the Knights organization in general, most recently being a District Deputy and holding other State positions. Jim assumed the position of Degree Coordinator for our Council and has done an admirable job. 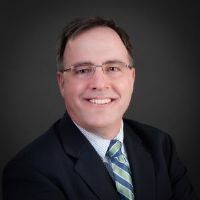 Once enough candidates are confirmed, Jim’s job is to notify the Degree Team, ensure the chambers are staged, positions filled and participate in the ceremony. His ability to recite his lengthy role from memory is quite an achievement. Bill Ruane is the December Knight of the Month. Since joining our Council Bill has worked his way through the degree ranks and achieving 4th Degree Sir Knight status. Most recently he took on the challenge of running our Vocation Support Raffle program, with help from Larry Beaudin. This program is a mainstay of our organization in support of religious vocations and requires a great deal of coordination and record keeping in a short period of time. 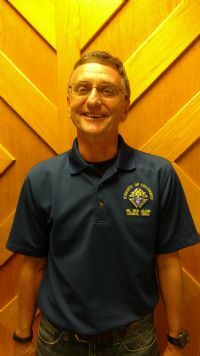 Bill is our representative on the Pastoral Council and recently informed us that he is entering the Deaconate program. Mark Papa is the November Knight of the Month. Mark is an active member of not only the Knights but also several other groups within the Church and greater community as a whole. 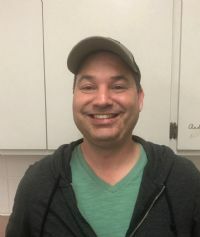 He is always looking for ways to help and give back, most recently by bringing several other members of the Men’s Ministry group on board with the Knight’s ID drive. Mike Nowakowski is the September Knight of the Month. When you think of Mike several items come to mind: ID (Tootsie Roll) Drive, Moscow Mules and an endless stream of jokes and stories. When there is work to be done, Mike will always step up to the plate and help, keeping everyone loose in the process. His true passion though is the ID Drive which he spends countless hours organizing and setting up the volunteer positions and times. This effort would not be a success without this level of commitment. Mike Mikos is the August Knight of the Month. Mike is one of those people that you see more than you hear, he quietly goes about his business without much fanfare. He is active in Council activities when he’s not helping at other functions, including helping Boy Scout’s. Mike originally joined the Knights in 1966 and re-entered in Sept of 2012 and we are glad to have him here with us. 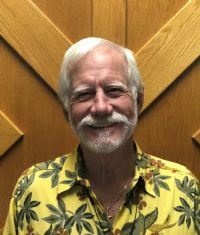 Bob Stevens is the July Knight of the Month. Bob is coming up on his one-year anniversary with our Council but you wouldn’t know it by his work record. Since joining our Council, Bob has stepped in on numerous occasions to help lend a hand in whatever capacity is needed. Helping in the kitchen, attending functions and representing our Council is all we can ask of any member, especially a new one. Along with being a part of our Council, Bob is also Minister of Hospitality at 9:00am Mass on Sundays. 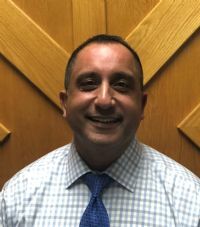 Angelo Marasco is the June Knight of the Month. Angelo is a past Grand Knight of the Council and serves as a Lector at Mass. Obviously, Angelo is very comfortable speaking in front of people and he has used this gift as a vital part of our 1st Degree team. He is available when called upon to participate and his ability to recite his part from memory is commendable. He does not just recite the part but his inflections and tone add an element of reverence to the part. 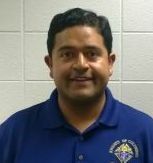 Gus Moreno is the May Knight of the Month. If our Council were a football team we would be undefeated due to Gus’ persistent efforts at recruiting. Gus is tireless in his efforts to convince men to join our Council and his efforts show in the number of new members joining our ranks. 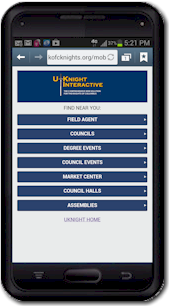 Obviously, being a great representative of the Knights helps convince people and Gus does a fine job in church as an usher and, recently, serving as a District Deputy. Tony Skrapits and Jim Walsh are the co-Knights of the Month for April. During our recent Fish Fry season these two veterans were around to help out in the kitchen for prep on Thursdays and serving on Fridays. At times, it seemed like they were joined at the hip they were so close to one another. Both Brothers, along with being K of C members, are active in the St. Jude Community with Tony being an EM and Jim being an Usher. Jim always makes sure we close out our Fish Fry season in grand style by buying fine cigars to celebrate on the last night. Jon Newcomb is the March Knight of the Month. Jon is a hard guy to miss given his tall stature. This “quiet giant” goes about his business, doing whatever he is asked to do. He is a fixture in the kitchen, especially performing prep work for the Fish Fry’s. It takes a certain amount of patience, and skill, to fill the tartar and cocktail sauce containers for our customers and do it for six (6) weeks. This type of work doesn’t get all of the recognition that others might but to an individual that wants that “little something extra” on their meal Jon’s work makes it complete. It takes a big guy to do the little things that put us over the top with our customers and Jon fits the role perfectly. Roger Sullivan is the February Knight of the Month. Roger is a 4th Degree member of our Council, active in many activities (Vocation Support Raffle, Charity Ball, …) and a Eucharistic Minister for the parish. One of the hallmarks of our Council is the support we provide for our brother Knights as they progress through the various degree ceremonies by attending them as a group. We lead by example and exhibit our belief in the Orders principles of Unity and Fraternity. We had three (3) Council members recently make their 4th Degree and Roger attended along with three (3) officers. Given the extraordinarily nice weather of the day, there were plenty of opportunities to be outside enjoying it, but Roger donned his tuxedo and joined the officers in support of Vito, Chuck and Mike. Thanks for that effort! Bill Greenback is the January Knight of the Month. Some of you may be wondering who this is. 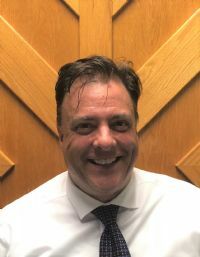 Due to his schedule at work, Bill normally works an afternoon shift; therefore, misses Council meetings and other functions that take place at night. 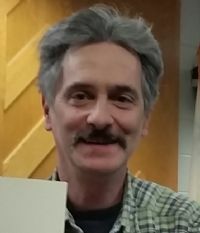 Ask anyone associated with “Relay for Life” and they will tell you he is a tireless worker and does a significant amount of coordination with Lincoln Way West High School. This holiday season we got a plea to help the kindergarten teachers as they “lost” their Santa Claus, Bill was asked and he was able to save the day by taking over the role in the morning session. Chuck Garland is the December Knight of the Month. Though Chuck is a relatively new Brother Knight, he and his wife Diane have been active members of the St. Jude community for many years. If there was work to be done you could count on them lending a helping hand. Chuck is handy in the kitchen, helping move Fr. Jim Freidel at the priest’s residence and most recently taking on the role of Santa Claus at the St. Jude Kindergarten. We even heard from an “inside source” that the kids even sang “Jingle Bells” to him. Vito Caponigro, our own “Chef Boy R V”, is the Knight of the Month for October. He’s the guru of the grill, master of meat and invincible with vegetables! When it comes to preparing food, we’re proud to say he’s one of our very own. Vito and his wife Jeannette catered the Golf Outing dinner again this year and he is never very far away from the action in the kitchen, adding a new seasoning or providing tips and helpful hints. He regularly posts meals on Facebook and, when we see them, we want to do a “scratch and sniff”, as they look so good! Jim Mudrock is our Knight of the Month for September. We’re beginning to wonder if Jim has ever had a bad day in his life. Every time you see him, which is frequently, he always has a smile on his face and a good word to say. He can always be counted on to help with our various projects and it is a pleasure to work by his side. From “greasing baked potatoes” to moving Father Jim, he will give it his all with a smile! Jim Bochenczak is our Knight of the Month for August. 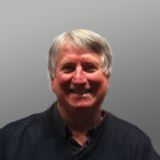 Since joining our Council, Jim has been an active member and helps out at our events. He went “above and beyond” the call of duty at the Proud American Days festival in July. In need of help, an e-mail went out to members and Jim responded with not only himself but two (2) of his sons as well. This response helped us maintain the commitment we made to the Park District and preserve our standing with the village. Craig Lyons, Past Grand Knight, is our Knight of the Month for July 2016. In Craig's position he had the ultimate direction for the 300+ members of our Council. Craig accepted the role with his usual smile and "can do" attitude on display. He led by example and whenever there was work to be done he rolled up his sleeves and pitched in to the end. There is no doubt his work as a Trustee will continue to advance the efforts of our Council. Thank you Craig for all that you have done for our Council! Deacon Bill Ciston is awarded the Knight of the Month for June due to his continued involvement in our Council. 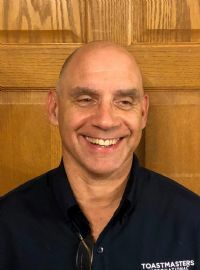 Along with being the Council’s Assistant Chaplain, Bill helps out in the kitchen during Fish Fry's, leads the Council in prayer services at wake ceremonies and is the Chaplain for the New Lenox Fire Department. His religious devotion and reflections helps Council members remember the spiritual aspect of our efforts. Deacon Bill has been a member for 18 years, having joined in 1998. Thank you Bill for your work and keep the food warm! 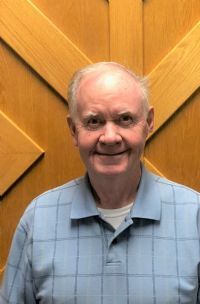 Murph is Knight of the Month for May for his continued service as Financial Secretary since 2009 and his leadership roles in our Lenten Fish Frys and our annual Golf Outing. Murph also runs the kitchen during many food preparation events. Murph joined the Knights in May1995 and became a 4th Degree Sir Knight in February 1996. Thanks Murph for all you do and the great service and fiscal responsibility you bring to our Council. Mike is Knight of the Month for April for his help behind the scenes mostly in the kitchen during Fish Frys and other food events. Mike loves to cook, fix things and just generally pitch in on many Council events. Mike joined the Knights in November 2004 and gained his 3rd Degree status in January 2010. Mike is moving into an Officer role in the upcoming fraternal year. Thanks Mike for everything you do and we look forward your continued support, leadership and great food. Steve is Knight of the Month for March for his help at the Fish Frys grilling those awesome Grilled Cheese sandwiches, some 100+ every week. He is a founding member of our Council being a part of its inception in 1992. Steve has been a Knight since 1977 and just this year became a 4th Degree Sir Knight. Steve also received a Special Recognition from the Grand Knight his years of service to the Council. All the Brothers thanked Steve for his service and wish him well as he moves over to the Crest Hill Knight’s Council #15711. John is Knight of the Month for February for his wonderful help with the Squires and work around the Parish. John is always there to assist with the Squires at the Fish Frys along with being at all the Squires meetings and events. John is also active teaching Confirmation for this year’s students. John became a First Degree Brother Knight in May 1983. Thanks John for your positive attitude, service to the Knights and wonderful mentoring of our Squires. Brad is Knight of the Month for January for his continued help with Council work like doing the dishes at most food functions as well as being a fine part of our 1st Degree Team. Brad regularly attends our General Meetings and became a 1st Degree Knight in December 2009 and 2nd/3rd Degrees in January 2011. Prior to becoming a Knight, Brad was a member of our own Mark Andrews Squires Circle. Thanks Brad for all you do and those miles of smiles you have all the time. Mike is Knight of the Month for December for his diligent and continued hard work as Program Director for our Council and for the many Officer roles he has filled including Grand Knight in 2010-2012. Mike guides our two-day ID (Tootsie Roll) Drive every September as he has for 15 years or so along with ensuring the ID Golf Outing and Candle Light Bowl are successes. Mike became a Knight in 1996, a 2nd/3rd Degree Knight in 1997 and a 4th Degree Sir Knight in 2003. Mike, we appreciate and thank you for your service to our Council. Pat is Knight of the Month for November for his continued efforts as an Officer and his great cooking skills. Pat again cooked up his fried chicken as part of the food we served at the Lincoln Way Special Rec Association Sports Banquet on November 8. Pat has been a big help in cooking at our Lenten Fish Frys as well and is always helpful with food prep, set-up and clean-up efforts. Pat has been a Brother Knight since October 2007 and more recently became a 3rd Degree Knight in January 2010. Thanks Pat for all your support and hard work. Bob is Knight of the Month for October for his continued efforts supporting the Council in so many ways. He and Bernie opened their house again this year to allow us to coordinate and process the efforts of the ID Drive in September. Bob is currently a Trustee for our Council and is the immediate Past Grand Knight. Bob has been a Brother Knight since November 2004 and a 4th Degree Sir Knight since February 2006. Bob, we all appreciate your support and continued effort. 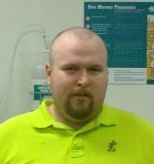 John is Knight of the Month for September for his work with his family during the ID Drive this year. They had a great day collecting at one of the storefronts we covered in New Lenox. John helps with the Knights and throughout the Parish including leading the Children’s Liturgy during Sunday Mass. John has been a member of our Council since June 2010 and is currently a 3rd Degree Brother Knight. Thanks John for all your efforts. Ed is Knight of the Month for August for his diligent work helping to resurrect our Squires Circle. His work as Co-Chief Counselor involves helping in planning and being there to help and lead the Squires during their events and meetings. Ed is currently an Officer as Outside Guard and is there to always help at Knight’s events and is a great cook as well. He joined the Knights in May 2012 and became a 4th Degree Sir Knight in February 2014. Thanks Ed, for your continued help and support. 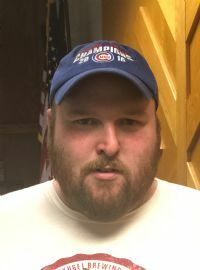 Matt is Knight of the Month for July for his past years of service as Membership Chairman and since last year as Co-Chief Counselor of our Squires Circle #4960. Matt has worked hard to get the Circle back into action with scheduling regular meetings, establishing new Officers and getting membership growing to 15 young men. Matt has been an active Knight since 2009 holding many Officer positions in our Council and is currently our 3-Year Trustee. Matt also became a 4th Degree Sir Knight in 2014. Thanks Matt for all you do. 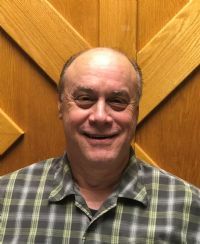 Jim is June Knight of the Month for his work as past Chairman of our Right to Life Committee and past Co-Chairman of our Membership / Retention Committee. Jim’s timely messages about protecting the right to life are always awe-inspiring for us as well as witnessing his work growing the membership of the Council. He joined the Knights in 1996 and recently became a 4th Degree Sir Knight in February this year. Thanks Jim, for your hard work and for being a great example for us. Brian is May Knight of the Month for his tireless work helping out at many events. Brian is always there early and stays until the work is done. Brian also volunteers in the community at the Soup Kitchen in Joliet and gives his personal time over and over. He joined the Knights in August 2003, did his 2nd/3rd Degree in January 2005 and his 4th Degree in February 2014. Thanks for all you do, Brian. Jim is April Knight of the Month for his dedicated work to our Council, the Assembly and the Illinois State Council. Jim is finishing up his 5th year as District Deputy and serves as Advocate for our Council. He is Past Grand Knight for our Council in 2005-07 and has held other Officer positions. He also has served as Faithful Pilot and Scribe in the Joliet Assembly. Jim joined the Knights and our Council in 2000 and has been in the 4th Degree since 2002. Thanks for your support and service, Jim. Roy is the March Knight of the Month for his tireless work keeping the 4th Degree activities known to the Council. Roy also helps at our Fish Fry events at the front desk collecting money as well as running our Blood Drive events twice a year. He has served as Faithful Navigator in the Joliet Assembly as well as Past Grand Knight along with other Officer roles in our Council. Thanks for your service, Roy. Marty is February's Knight of the Month for his continued support of our various efforts. 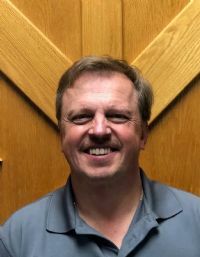 Besides being part of his family business, Marty is the Athletic Director at St. Jude and is always pitching in to help us with various projects and fund raising. It's great to have Marty as a part of our Council since he joined in 2010. Thanks Marty. Larry is January's Knight of the Month for his continuous help and support of our efforts at St. Jude. Larry is a member of the Maintenance Staff at St. Jude and is always there for that little extra help when we need it. Larry is a founding member of our Council joining us in 1992 and it's great to have him a part of our Council. Thanks Larry. Gene is December's Knight of the Month for his hard work selling Vocation Raffle Books every year. Gene has been a Knight since 1942 and 4th Degree Sir Knight since 1950. Gene's been a member of our Council since 1992 and we're blessed to have him as a member. Larry is November's Knight of the Month for his many contributions to the council. Larry headed up again the Vocation raffle which helped the State Council exceed the all time record raised.